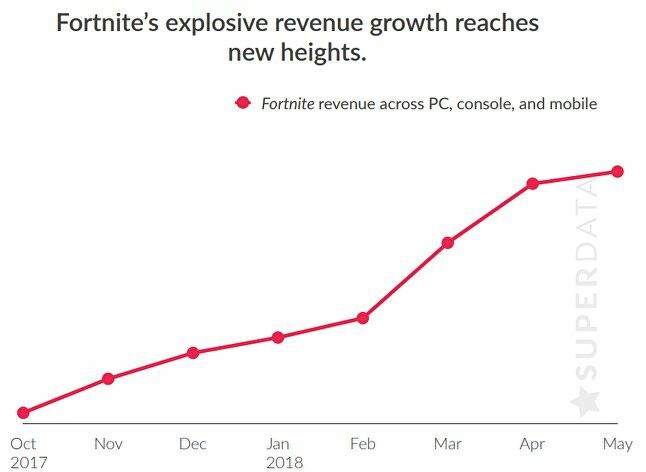 While skeptics have dismissed Fortnite (and the battle royale genre) as a fad, Fortnite continues to prove itself. Its prosperity and impact only speaks towards its potential longevity. Game merits aside, the free to play model has proven to be one of Epic Games’ best business decisions. If you’re a gamer of any sort, never having played Fortnite would be PlayStation trophy worthy. You’d have to actively decide not to play it, because the point of entry is so simple. It’s on everything, it’s free, and it’s popular. All of Fortnite‘s traits continue to work as a sort of cycle that pulls in new fans and retains old fans, alike. So whether or not you’ve fallen into the Fortnite hype, you have to acknowledge the magnitude of what’s happening with this game. As they say, men lie, women lie, numbers don’t. Fortnite has earned over $1 billion. I don’t think anyone could’ve predicted how big this thing has become. But considering how much the average player spends, it makes sense. Have you spent money on Fortnite? If so, what did your purchase? Let us know in the comments.